An interesting conversation with Dayanita Singh on the NY Times’s Lens Blog about the place bookmaking has in her creative process. This entry was posted in Book Notes, Conversation, External Article, Interview, Off Topic, Other Blogs, Publisher, Self-Published on October 9, 2018 by mnm207. There is a review of Bonhchang Koo’s Slow Talk by W.M. Hunt in the latest The Photobook Review that accompanies the Summer issue of Aperture Magazine. The review isn’t available online, but print or digital subscription information can be found here. The magazine is also available at many bookshops. This entry was posted in Aperture, Book Notes, Criticism, External Article, Magazine, Theory and Criticism on May 31, 2015 by mnm207. Michael N. Meyer: This is Michael Meyer, the publisher and writer of KoreanPhotographyBooks.com; I am sitting here with Suejin Shin, who is the Creative Director of the Ilwoo Foundation, and a Research Professor of Yonsei University. 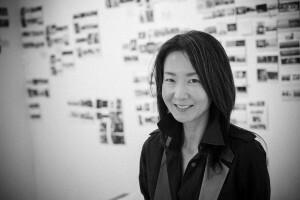 Jimin Han: And a director of Lamp LAB, brand-new [laughter]. MNM: And also with me is Jimin Han, who is translating for me and interjecting follow up questions. Suejin, let’s start with your background. You have multiple degrees in photography and in psychology. How did you come to bring those two things together? How did you come to use psychology as a lens to understand and expand upon photography? SJS: My first major was psychology, and my second major was photography. I then got a master’s degree in photography and a PHD in psychology. My studies of photography were primarily in photographic theory. I’ve never intended to be a professional photographer. In studying psychology my focus was on vision, or visual perception, and Cognitive Science. I simply followed my curiosity in studying the two; I wondered what kind of feelings or thoughts people have when they see photographic images. It’s about what people feel when they see images. It’s about feeling, or the process of thinking. In other words, when they see certain images, they come to have certain feelings or thoughts. My main interest lies in where they come from. Generally, the background fields of art theory are commonly art histories or something similar; so, many people wonder how psychology can be applied to these fields. I’m interested in photographic images, but it is the audience I observe in order to realize my interest. This entry was posted in Black and White, Book Notes, Conversation, Digital, Documentary, Historical, Interview, Military, Museum Publication, Theory and Criticism on January 25, 2015 by mnm207. 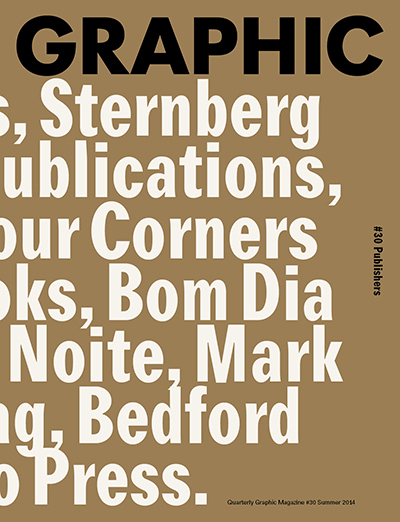 Quickly: Graphic Magazine #30 features interview with ten publishing companies. Check it out. Graphic Magazine is put out by Propaganda Press. On my last visit to Seoul I picked up Park Sung Jin’s Kid Nostalgia published by PP that I’m looking forward to writing about once I’ve had the time to spend some time with it. This entry was posted in Book Notes, Conversation, External Article, Interview, Magazine, Publisher on December 30, 2014 by mnm207. Most of the books reviewed here on Korean Photo Books are very affordable. They are generally &#65510 20,000 to &#65510 30000; many of the zines are closer to &#65510 5,000. There are equally affordable books everywhere. Buy something new. Support a working photographer. Looking for a book whose value will rise? Stop. Go buy a mutual fund (but watch out for those fees). Buy books because you enjoy them. This entry was posted in Book Notes on April 23, 2014 by mnm207.